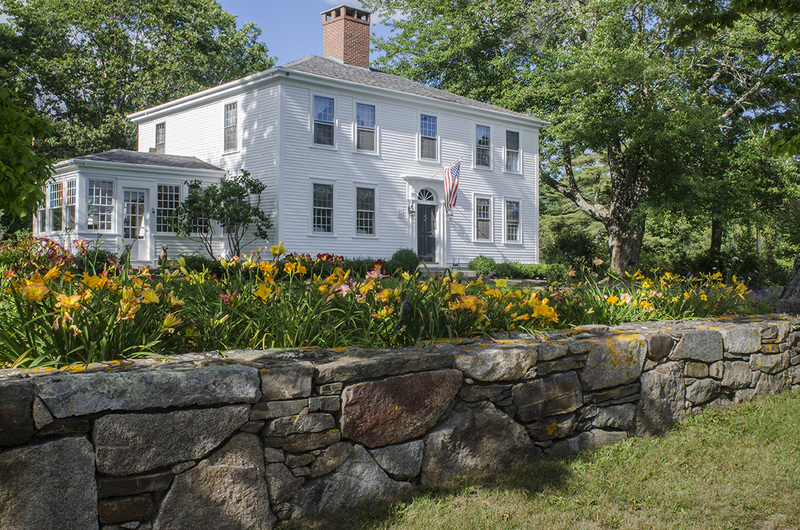 C. 1769 Georgian-style home, with New England modern guest house, barn & carriage house. 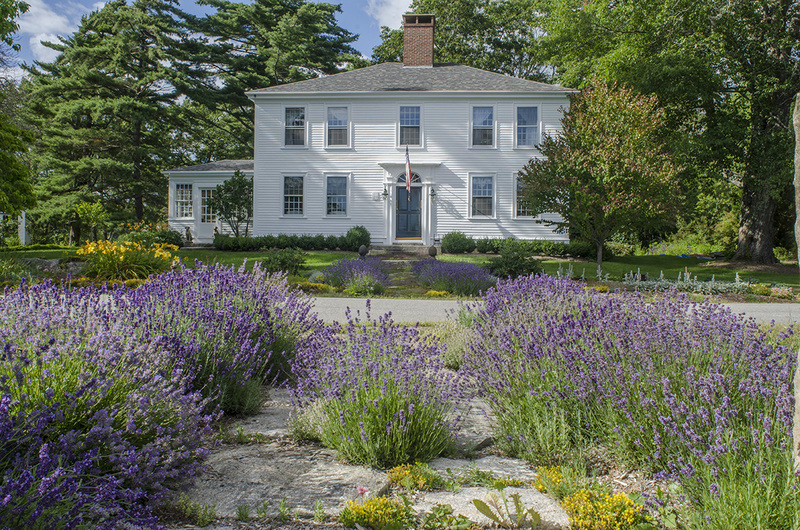 This historic home, built by Samuel Montgomery, an early resident and the owner of a saw & gristmill, boasts frontage on Mill Pond plus a 4-acre fresh-water pond. 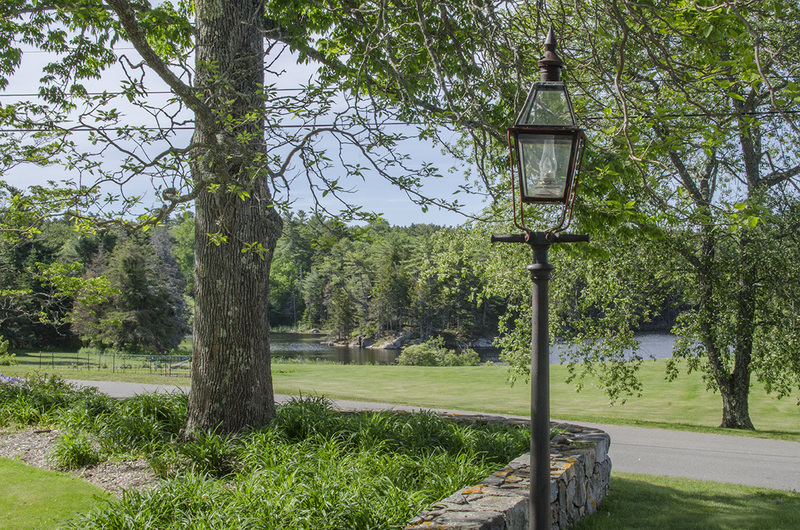 More than 350′ of stone walls, lavender walkways & over 350′ day lillies welcome you into the home. 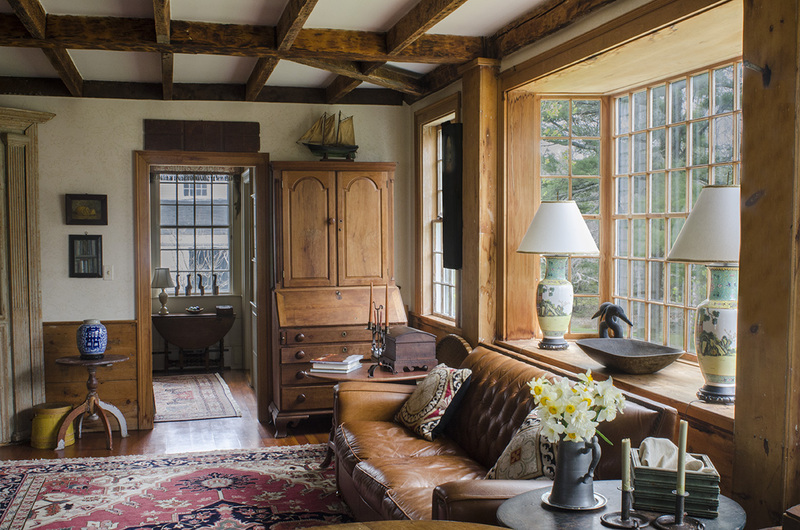 Living room features exposed ceiling beams, natural pine sheathing & wainscoting, & large bay window. Keep warm by the 8′ hearth with 2’x4′ bake oven & 5.5′ firebox. 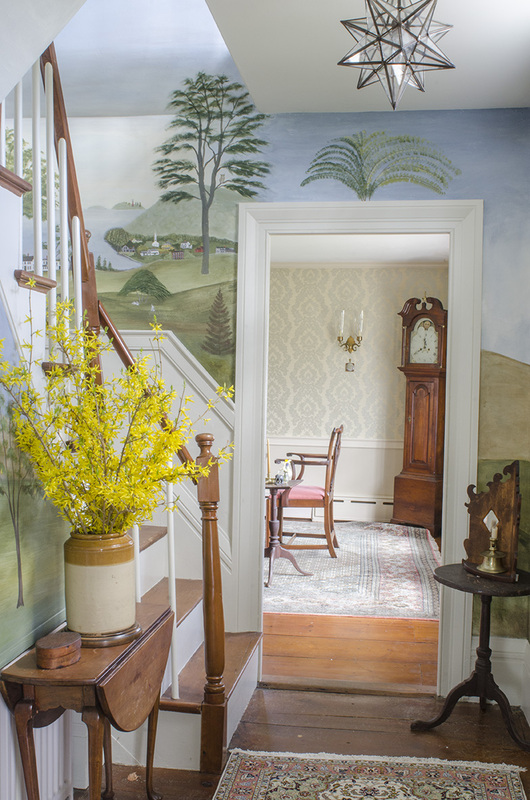 Doreen Conboy’s Rufus Porter-style mural in the front hall leads you upstairs where the master with ensuite & guest bedrooms await. Outside, you’ll find extensive vegetable & blueberry gardens. 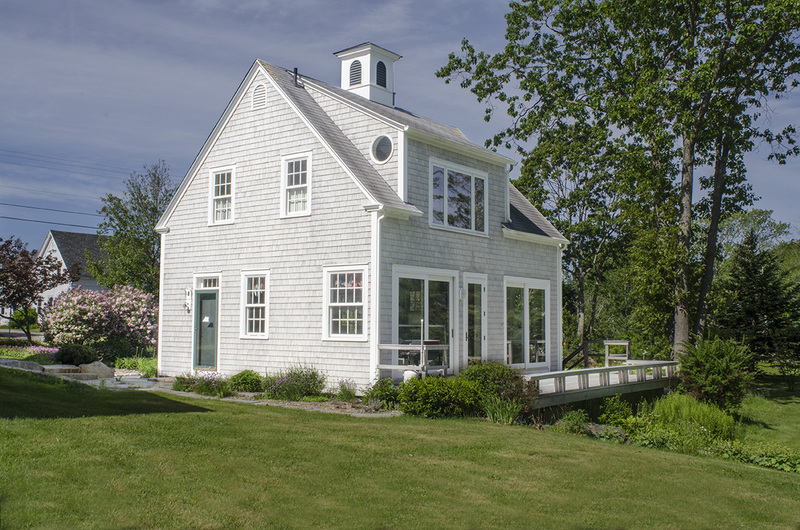 The Mill Cove Guest House boasts West Coast aesthetic with large-window expanses and an open-floor-plan. 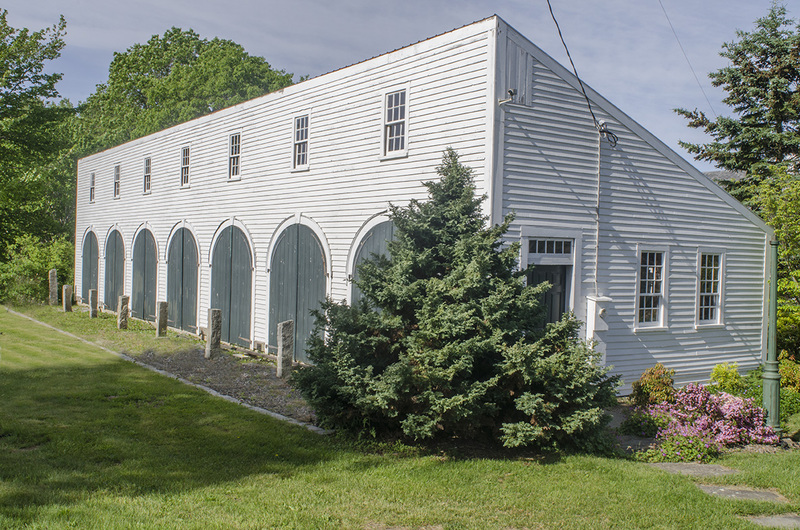 The seven-bay carriage house, built in 2002, derives from regional design. 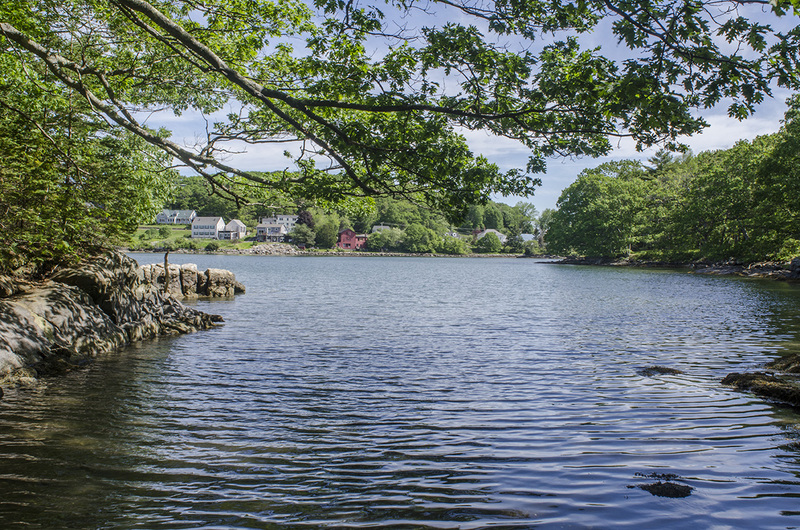 With 10.31 acres in a conservation easement. Just over an hour to Portland and 3 hours to Boston.